When I was a kid, personal computers were just coming out. After ten minutes on a school-purchased, black-and-green-screened computer in the fifth grade, I was hooked. The next year, when my aunt purchased a basic PC, I was visiting her house as often as I could convince my mom to drive me there and played with early art programs (think bitmap) and layout software. This access to an expensive, innovative technology in the late 80s and early 90s allowed me to spend huge numbers of hours learning computer skills, discovering the possibilities of what computers could do, and lighting my enthusiasm for tech-based artistic design. I would not have had that chance otherwise. By the time I was in high school, my youth group leader, Kerry, saw my passion and offered me a job at his start-up tech company, CodeCorrect (the company—now called MedAssets—has since been sold three times for millions of dollars). Though the job was very tedious and sometimes required going line by line through hundreds of pages of medical codes and Medicare policies, I felt incredibly lucky to be working in computers databases right out of high school. Kerry also gave me the title Data Integrity Specialist, which boosted my self-esteem in what was a basic entry-level job. That job helped me get through my first three years of college and opened the door to even better jobs later in life. It also ignited my passion for computer-based design, encouraged me to take Auto-CAD classes in high school, excited me enough to design and print magazines for my little sister on the computer I eventually hounded my parents to buy (“I need it for school!”)—all because I had access to a computer for hours and hours in my youth, and all because someone recognized my passion and offered me an opportunity. We often confuse giftedness with opportunity. Parents with disposable income can afford to spend large sums of money on special summer camps, private lessons, and admission to museums and special events. On average, parents in the highest quintile of income spend 85% more than parents in the bottom quintile, who would love to give their kids those opportunities as well. This creates a learning gap for kids that equates to 6,000 hours by the 6th grade! As a former teacher of many such high schoolers, it was sad to me that even participation in sports and school ASB cards cost money that many families simply do not have. Think of NASA aiming a rock to hit a planet light-years away from Earth. A hairline of difference between a 30-degree angle and a 30.000001-degree angle will result in miles—perhaps light years—of difference between the intended target and where the rocket ends up. The opportunities we give children early on can result in incredible differences for their achievement and confidence down the road. Teachers refer to this phenomenon as “planting seeds.” We may not see the difference these experiences make today, or even this year, but they will make a big difference for kids down the road as they grow and participate in the world. Today at Spark Central, I watched a little girl unpack a set of robotics. 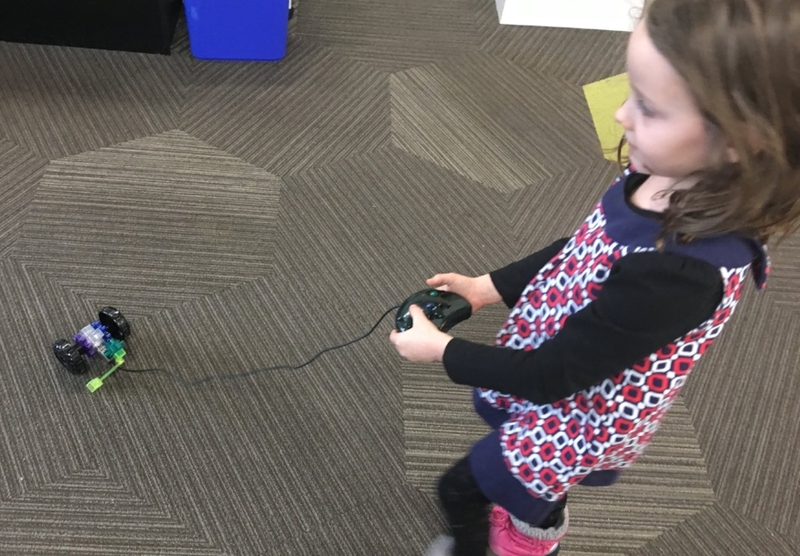 By playing with then gears and fitting the parts together, she discovered how to make it move, eventually attached a remote, and steered her new invention around the center. This kind of no-cost access is what builds the 21st-century skills and ensures that girl has an equitable chance at becoming an engineer, an architect, or whatever she chooses.